A people exiled, begin to unravel myth and legend, unearthing clues to their tempestuous past. Pioneers rediscover technology from ancient artefacts. Priestesses with remarkable powers turn their devastating abilities on those they claim offend their god, the star that blazes unchanging in the skies above. But when that star unleashes devastation, it shows no favour and no mercy. An ancient fear becomes a devastating reality. Everything I said about the first book in this series I say again. Drew’s characters and plot again pop in this book and if anything the story flows even better than book 1! An interesting mix of characters, some gasp-out-loud moments and a fascinating world to immerse myself in. I’ve wanted this sequel ever since finishing the first book – and was not disappointed! Drew definitely ups the ante with Exoneration. Without giving away any spoilers, I can say that the excitement levels are extraordinary! This book is exciting, funny, sad, emotional… I loved every page. 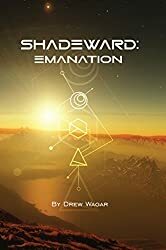 Absolutely love this second book in the Shadeward saga. 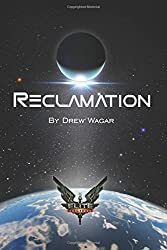 I loved getting to know all the characters even more and how their lives develop on this vibrant, interesting planet with its detailed history. I am not a fast or confident reader and have not read endless books but I can’t wait to have my lunch break so I can read another chapter or two. I find it easy to pick up and continue each time. I can visualise the characters and the world they live on. I felt completely emerised in the storyline. If you have enjoyed books by Garth Nix and Tolkien, you will definitely enjoy Shadeward. Really looking forward to the next book! I eagerly waited for this second in the series of the Shadeward Saga. The first book set the scene so masterfully. Drew definitely ups the ante with Exoneration. Without giving away any spoilers, I can say that the excitement levels are extraordinary with the priestesses powers and the restless Lacaille combining to cause the predicted havoc. The characterisation as always with Drew’s novels is first class. They are all fully three dimensional even in this exotic world where almost nothing is as we know it on Earth. The sexual tension between the two main protagonists is supernatural and hints at more secrets to be revealed. I for one can’t wait for installment 3! I’ve wanted this sequel ever since finishing the first book – and was not disappointed! An interesting mix of characters, some gasp-out-loud moments and a fascinating world to immerse myself in. Now I’m looking forward to book 3! 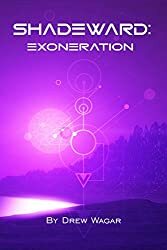 Exoneration really ramps up the action whilst portraying a planet in turmoil, and its inhabitants trying to survive an ever changing environment. 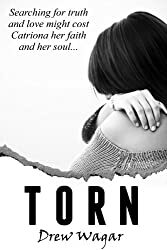 Some of the chapters are just sheer excitement and breath taking plot developments along the way which keep the reader both guessing the outcome, and at the same time and totally enthralled. 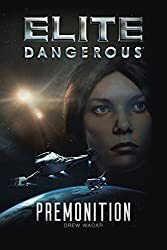 This is a blend of science fiction and fantasy coming together to create the classic sub genre of Planetary Romance in the best traditions of writers such as Anne McCaffrey and Ursula k Le Guin and as such is heartily recommended.